Sandra is the Chair of the Adelaide Film Festival, Deputy Chair of Screen Canberra and Vice President of The Natalie Miller Fellowship which supports the leadership of Women in the screen industry. From 2011 to 2013 Sandra was the weekly producer & presenter of the highly respected event Friday on My Mind a weekly live interview program presented by the Australian Film TV & Radio School & the Australian Centre of the Moving Image. Friday on My Mind is where practitioners (directors, producers, actors, writers and screen professionals) across film, TV, new media and the performing arts discuss their work, ideas and career trajectories. 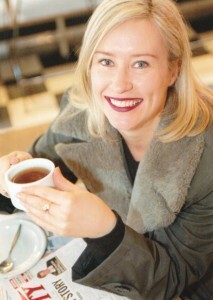 While Sandra was CEO of Film Victoria (2002 to 2011) the Victorian Government film, television and digital media development, investment and production attraction agency, she was credited as being instrumental in transforming the Victorian industry from critically low levels of film and TV production to the highest on record at $268 million. During Sandra’s term at Film Victoria, yearly production output increased from 90 million to record high achievements above 260 million and Victorian screen industry production expenditure total topped $1.5 billion dollars. Film Victoria also hosted unprecedented levels of international production culminating in securing Spielberg’s The Pacific, the largest television series ever made anywhere in the world which generated around $180 million for Victoria’s economy. Prior to joining Film Victoria, Sandra was the Executive and Artistic Director of the Melbourne International Film Festival and led both the creative and administrative responsibilities of the event. During Sandra’s four year term the film festival was repositioned and became one of the state’s most preeminent arts events. She was responsible for shifting the festival from a deficit to a surplus position, increasing box office income by 163% and increasing attendances from 55,000 to 140,000 – the highest figure in the history of the festival. In the spirit of supporting our cultural communities, Sandra has consistently contributed to Boards and Committees. She was a Board Member of The Festival of Ideas 2012 to 2015, a Board Member of the South Australian Art Gallery from 2008 to 2014. She was a Board Member of Ausfilm from 2007 to 2011, a Board Member of the Adelaide Festival of the Arts from 2002 to 2008 and a Board Member of Toorak Secondary College, Mt Eliza from 2002 to 2004 amongst others. Formally, her qualifications include a Bachelor of Arts with a major in Film Studies and a Bachelor of Law. She has been admitted to practice in the Supreme Court of Victoria.